When I was seven years old I joined the church choir at Milton Malsor. It was no surprise as my father, Harry Henshaw (a local butcher), had been for many years a prominent bass singer, and my mother, Kate, was a very good soprano. No ladies or girls were allowed in the choir but Kate did sing in our almost annual performance of Stainer’s “Crucifixion”. Being safely embraced into the choir, my attendance was virtually compulsory at both morning and evening services and continued until I was sixteen, with a short break when my voice broke. I am sorry that these rather mundane facts have delayed the real story, but the Sunday vigil has since taken me down a path that is continuing quite a few years later. It all started with the Reverend R H Tadman’s sermons, which to a seven year old were not particularly inspiring. Therefore, what does one do during a sermon of ten minutes or so which no doubt was of more interest to the adults in the congregation? 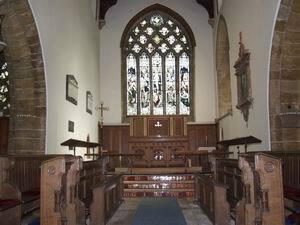 Well, there a few plaques on the Chancel walls, and one in particular, on the south side, was the most prominent. It was quite a decorative plaque to Dame Jane, the late wife of Sir Sapcoates Harrington. I read the inscription hundreds of times and can still recite the inscription reasonably accurately, but never thought that this would eventually lead to me on a voyage of discovery. Hereunder lieth the bodie of Dame Jane, daughter of Sr. William Samwell, knight, and late wife to Sr. Sapcoates Harrington of Milton Knight, by whom he had 2 Sonns and three daughters (Vz) James, William, Jane Anne and Elizabeth. Wch Ladie died March 30 1619. Now please focus on the name James, as over the past twenty years or so I have often come across his name whilst reading English history of the 17th century. For many years I could not quite grasp that this was Milton’s James Harrington, as there was no detail of where he might have lived. However an accumulation of detail at last convinced me that this was the same man. James was born at Upton Hall in Northamptonshire on 3rd January 1611, where his mother Jane, being the daughter of Sir William Samwell, had returned home to give birth to James. The husband of Jane was Sir Sapcoates Harrington who came from Rand in Lincolnshire and was descended from a far-flung family of aristocrats. We know that he moved to The Manor House in Milton Malsor (at the top of Pluck’s Lane, now called Rectory Lane) on the 1st April 1614, so James would have arrived there as a three year old. Dame Jane’s father had purchased The Manor House and gave it to his son-in-law as a wedding gift. It is not surprising there is little knowledge of the early education that James received, but one can imagine he would have been taken across the field – know as the Paddock, or Dip as it is today – to attend church services from an early age. His mother died on 30th March 1619 when he was eight years old and this must have had a marked impact upon his early life. However, Sir Sapcoates married again and his second wife had two further sons and two daughters, so we find an extended family of nine children to share family life. It appears that The Manor House passed to Sir Francis Hervey in 1621, so James Harrington’s stay in Milton Malsor would have ceased at the age of ten years, but no doubt his childhood times in the village would be remembered throughout his life. We must now jump forward to 1629 when James, at the age of eighteen, entered Trinity College Oxford as a Gentleman Commoner, but left two years later without a Degree. During his time at college the famous Royalist High Churchman, William Chillingworth, was for a brief time one of his tutors. Subsequently James then entered, and left as quickly, The Middle Temple, having developed a loathing for lawyers which remained for the rest of his life and is recorded in his writings. By now, James’ father had died, and his inheritance helped to pay his way through several years of Continental travel. He enlisted in the Dutch Militia Regiment, firstly under Lord Craven and then Sir Robert Stone (but he did not serve in it), before touring throughout the Netherlands, Denmark, Germany, France and Italy. He spent a great deal of his time in The Hague and became familiar with the Count Prince of Orange and with King James’ daughter – the Queen of Bohemia – who with her husband the Prince Elector were fugitives in Holland. Lord Harrington, James’ uncle was at one time a governor to The Queen. James travelled to Rome around 1635 and frequented The Vatican. It is said that James was too squeamish at the Pope’s consecration, when wax lights were being used, and he refused to take one of the lights although everyone else did. Feeling squeamish, he refused to kiss the toe of his Holiness and this act became a talking point both in Rome and in England, particularly as “to kiss the toe” was an honour and an act of faith. Later, when he returned to England, the King told James that he should have complied with this custom, which only signified respect to a temporal Prince. However, His Majesty was satisfied with the reply that having the honour to kiss the hand of His Majesty he thought it beneath him to kiss any other Prince’s foot! On his return to England, James joined the Presbyterian Party but took no part in the Civil War that followed. When King Charles the First, who had been captured by the Scots, was handed over to the English, James was one of the appointed Commissioners to receive The King at Newcastle and brought him to Holdenby House. He became a “Gentleman Groom of the Royal Bedchamber”, attending King Charles during his captivity at Holdenby from May 1647 until the end of that year, and then at Carisbrooke and at Hurst Castle-on-the Solent in 1648. When The King was being moved from Carisbrooke to Hurst Castle, James was forbidden to stay with him. However, when James went to kneel before The King on his departure, the King grabbed him and pulled him into the carriage; the King would not depart until it was agreed that James could accompany him, and was only allowed when James had sworn on oath that he would not help The King to escape. Although he was opposed to King Charles’ beliefs and supported Cromwell, James refused to let the King be moved from Holdenby to London by force. Because of this action, some Parliamentarians doubted James allegiance to their cause, and at one time secured his dismissal from his attendance on the King. He was however returned to keep The King’s company during the period when he was awaiting trial and then whilst awaiting execution, having been found guilty of treason. It is said that the King enjoyed the adversarial and verbal encounters when he and James met daily, and they became friends on that basis. Apparently the discussions involved “policies but not Commonwealth”, and they rarely agreed but still enjoyed the encounters. The King, having been condemned to death, asked that James be permitted to attend him on the scaffold, which was erected in front of the Banqueting Hall in Whitehall. This was agreed and just before the King was executed he gave James a token of his friendship; some say it was the King’s ring, but others thought this to be unlikely. After the King’s death in 1649, James devoted himself to writing his most famous book “The Commonwealth of Oceana”, which was published in 1656. The book had been seized whilst being printed in view of its controversial content and beliefs. James however, managed to secure the favour of Cromwell’s favourite daughter, Mrs Claypole, and the work was restored to him. “The Commonwealth of Oceana”, being a semi-romantic book, sets out a Commonwealth maintaining that the real basis of power is property, especially landed property from which no one person should derive more than £3,000.00 a year, and that rulers should be changed every three years with the successors being elected by ballot. When printed, the book was actively attacked by the Bishop of Chester – Dr Henry Ferne. The book wasprinted in London by J Streater for Livewell Chapman, and was sold at his bookshop at The Crown in Popes-Head-Alley and dedicated to Oliver Cromwell. In 1659 James arranged for an abridged version to be published – “The Art of Lawgiving” set out in three books. After the books were published, James resumed his arguments at nightly meetings at the “Rota Club” which met regularly in The New Palace Yard, Westminster, but the club was dissolved at the time of the Restoration. James remained a controversial figure and in 1661 was arrested for attempting to change the Constitution. Whilst residing in The Tower of London, he went temporarily insane, and having been badly treated suffered ill-heath for the rest of his life. He remained in The Tower until his sisters managed to obtain “a writ of habeas corpus” enabling his furtive escape between 1 and 2 in the morning to St Nicholas Island, off the coast of Plymouth. His general health promptly plunged and quickly deteriorated, apparently from his ingestion on medical advice of the addictive drug guaiacum. James’ mind appeared to be affected, and he suffered intermittent delusions – one observer judged him to be “simply mad”. He proceeded to suffer attacks of gout and palsy before falling victim to a paralysing stroke. His family managed to obtain his removal to a prison in Plymouth by giving a Bond of £5,000.00 as surety against escape. Miraculously he was soon restored to his family and in 1675 – just two years before his death – he married a Mrs Dayrell, his old sweetheart and the daughter of a Buckinghamshire nobleman; but they had no children. 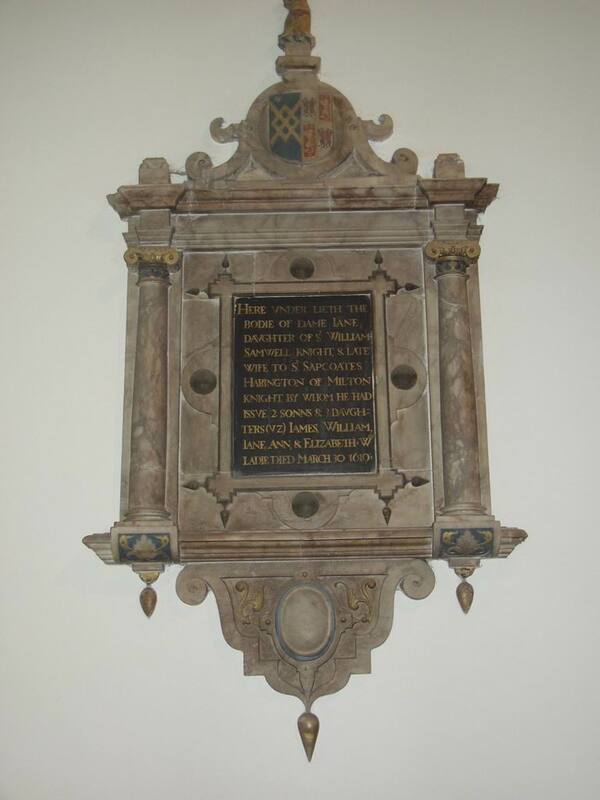 Following his death, aged 66, at Little Ambry in Westminster on the 11th September 1677, he was buried in St Margaret’s Westminster where Sir Walter Raleigh was also entombed. John Henshaw explained that he trod many a long path to try to establish the whereabouts of James Harrington’s monument in the Church of St Margaret’s, Westminster – a story in itself! John was lucky enough eventually to meet a Mr Peter Craggs – a member of the church – who referred to a book presented by a Henry Poole in 1890. This book was a record of all the monuments in the church. On page 21 were the details of James Harrington’s tombstone of black marble; it also described the whereabouts and rather poor condition of the tomb at the time. Although the tomb was once in the floor of the chancel it was later moved to a position under the organ loft; but Mr Craggs had already established that, in spite of the records, the tomb was nowhere to be seen and the location remains a mystery to this day. 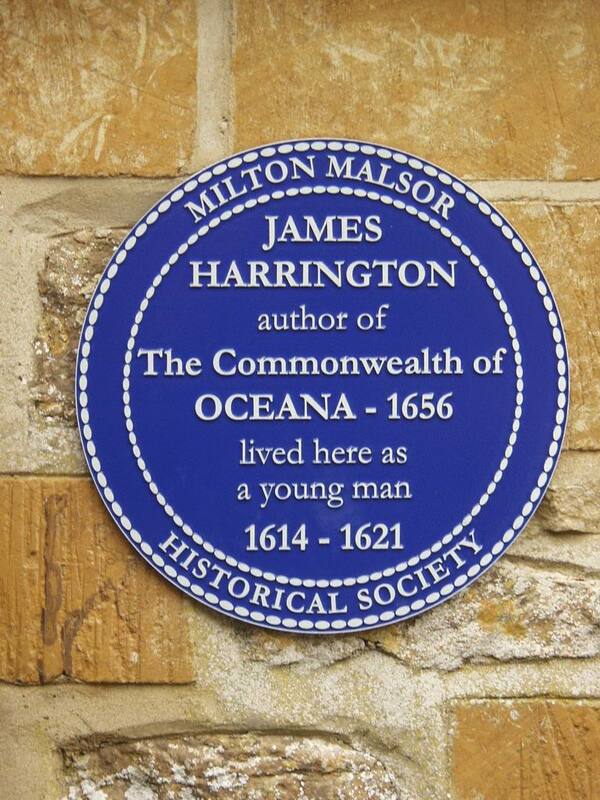 Harrington was quite a remarkable man! 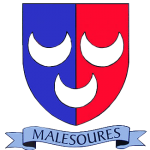 For more information about James Harrington and his links with Milton Malsor, take a look at the Prestoungrange web site. 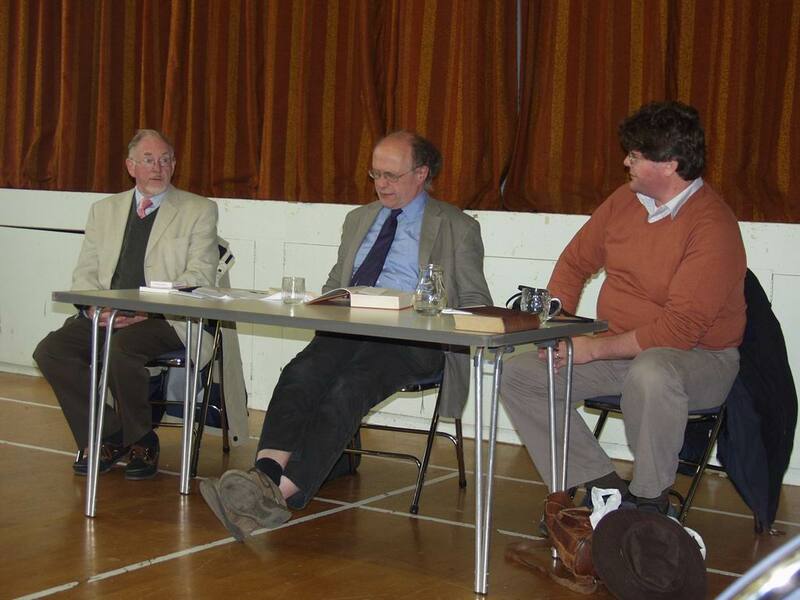 On Saturday 4th October 2008 the Society hosted a meeting in the Village Hall at which Professor David Norbrook from Oxford University presented a talk about James Harrington. 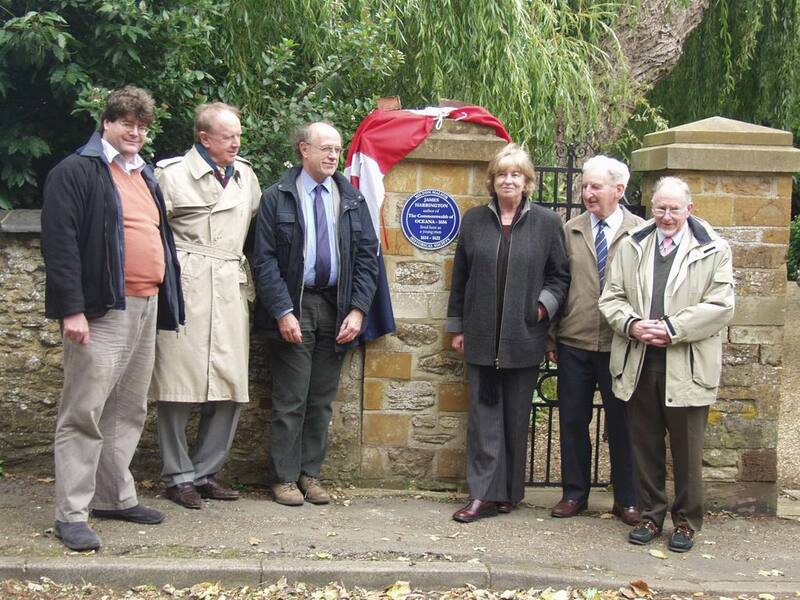 Following the talk, Professor Norbrook unveiled at the Manor House a blue plaque which commemorates Harrington’s early life in Milton.